Funfields Hi Kenny, we have a few new attractions coming to Funfields, they will be announced closer to our opening date! Anyone have any info or Ideas?? 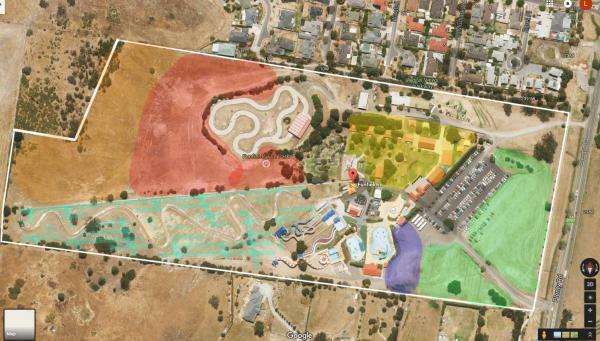 Plans have been submitted to the Whittlesea Council... and it's a Proslide TornadoWAVE. Looks good, would have to be one of the longest Waves out there due to that open air section before the helix, but I think if they had shunted the whole tower a few meters further north they would be able to mirror the landing pool and add a second slide utilising the conveyor at some point in the future more easily. I wonder if in the long term they'll remove the go karts? It's a huge plot of nice flat land in an otherwise heavily sloped park and you can easily imagine 4 or 5 slide complexes being arranged around the edge of that bowl of land, with a wave pool or lazy river in the middle. Excellent- thanks for the info Theme Tendo!! This a great addition to this small park. I have never visited but it is certainly now on my radar to do so - it is definitely a family friendly park and my 2 young children will love it!! What is interesting is that the original Facebook post stated "few new attractions coming" It certainly looks like that there could be more announcements coming our way soon regarding new attractions. Yep that was the point I was making. Looking forward to further developments. Funfields is getting it's own VR experience, transforming the Blackbeard's Fury pirate ship into "Dragon's Fury VR". Very interesting to see if the pirate ship motion will translate well into a VR experience. It's cool to see a small park dive head first into the VR craze. Fingers crossed they pull it off well. Does anyone know when the Tornado wave is going to open? On a side note it seems like Pro-slides are selling loads of waterslides to Australian parks in the last few years. Kraken, Perfect Storm, Funnel Web, FF's tornado wave, FF's Kraken racer, the maze waterslides (proposed), Triple vortex, and the ones at WNW Sydney. There is a trend that Funfields seem to follow, where major investments occur every 2 years. The Wacky Waters water play area opened in late 2011, then 2 years later, the Typhoon bowl slide opened in late 2013, and then another 2 years, the Kraken Racer opened in late 2015. My bet would be for next season, a late 2017 opening for the the new Tornado Wave slide. VR on a pirate ship....that's unexpected! 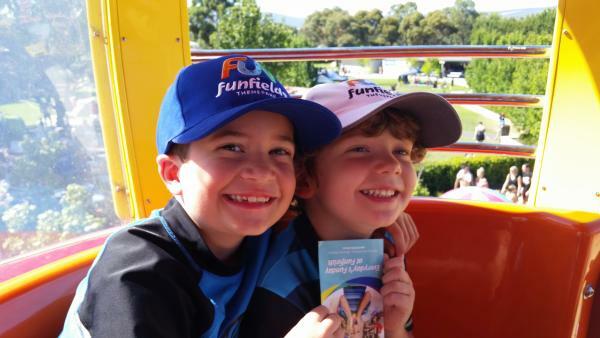 I kind of see Funfields as having fallen into the role for Melbourne that Adventure World did for Perth. I just hope now at this early stage they take some strategic direction and start thinking about how the park will be organized with themed lands etc. Some of the smaller parks kind of struggle a bit with being a bit random with where they add stuff. I just hope they don't struggle with the neighbours, since there are literally houses with back fences against the park. Not having been there before, I am not familiar with the park. Do they have much room to expand Gazza or are the residences only on one side? Given the way the park is rapidly expanding, it is certainly on my radar to visit-it certainly seems like a great little park that the fam bam would enjoy. Funfields really is a great park for families. All their rides and slides are all 'family-thrill level friendly' (if that makes sense). As a melbournian I have visited Luna Park, Adventure Park in Geelong and Funfields many times. Out of the three I would recommend FF hands down as Melbourne's flagship park. The biggest draw at the park, sans the toboganns, is the large grassed grounds, trees to sit under and covered seating areas. Heaps of people bring in large eskies, use the barbeques and have a picnic. It's what makes the park unique; Funfields feels like a large local park with rides/slides, vs. rides/slides with a grassed/shade area. It's unfortunate that park doesn't have much for thrill seekers, but my bet is this will change in the coming years (starting with the tornado wave). @Jobe The park doesn't have much room for expansion. @Gazza I like your idea of removing the go karts. Removing the gokarts will free up a nice plot of flat land. I will not miss them, but the majority will; they are always super popular. Red = (what I think) might be available expansion area.The hill gets very steep up towards the end of the land....probably unusable, unless they spend major money on earthworks. Orange = The dream would be to see a terrain hugging coaster utilize that steep land. Yellow = Existing picnic, grass grounds and shade area. Cross hatch light blue = They could use this hill and build a coaster, or multiple waterslides that fly over the toboggans. Green = Overflow carpark, which is definitely needed in the summer. I've seen this fill up completely before. If I were them I'd look at doing a car park across the road, with a pedestrian crossing, or an underpass, then expand the park forwards. It will be interesting to see what the future holds for FF. The Tornado Wave seems like it will be a hit with the thrill market and if they go with a clover leaf raft it should have a decent capacity. I am a big fan of what the guys are doing at FF. 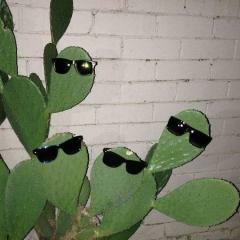 As are my kids! @Mark Shaw confirmed for Funfields? Can't be it would have to be AWesome not Awesome.